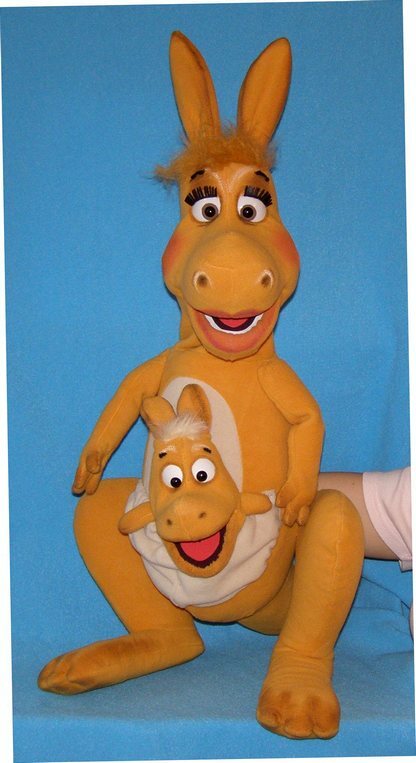 Kangaroo puppet, Puppet for sale. 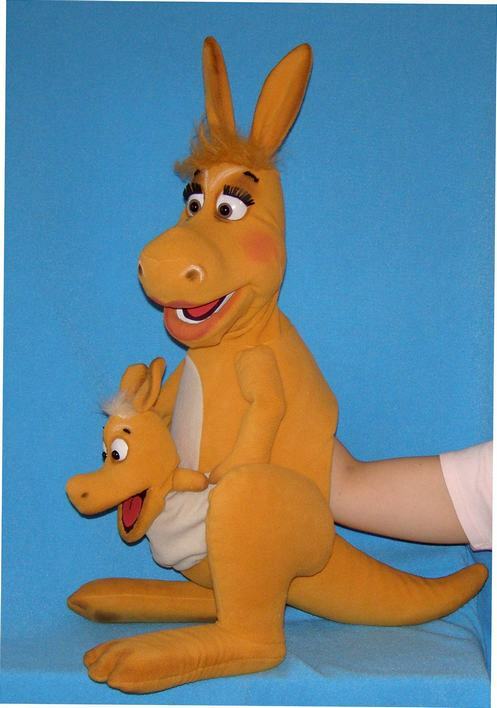 Kangaroo with baby, professional foam puppet. There is a big hole inside of the body behind the pocket. So you can hide the baby or other things inside of the mother body. 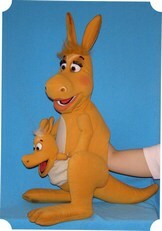 The kangaroo's baby is foam puppet with movable mouth. 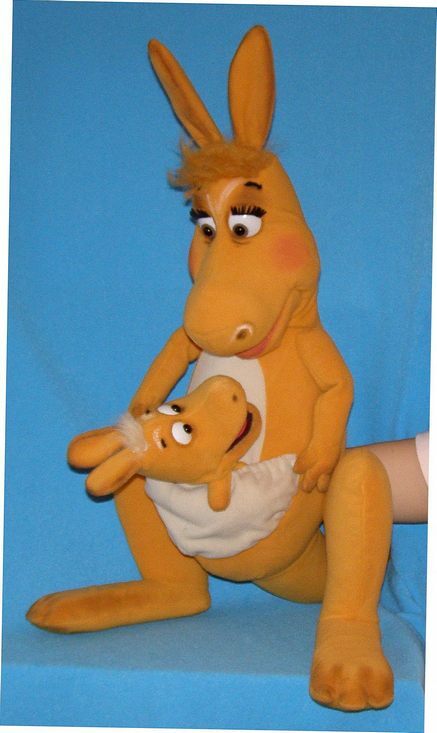 You can order Kangaroo puppet without baby.